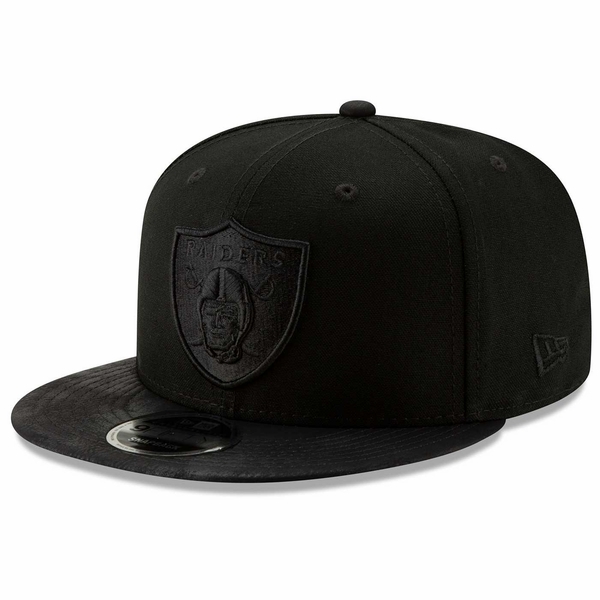 The Raiders New Era 9Fifty Black Label Sueded Up Cap combines fashion with sports with a black, faux suede fabrication on the bill and an all-black, embroidered Raiders� shield logo on the front crown, plus an adjustable back strap. Crown: 100% cotton. 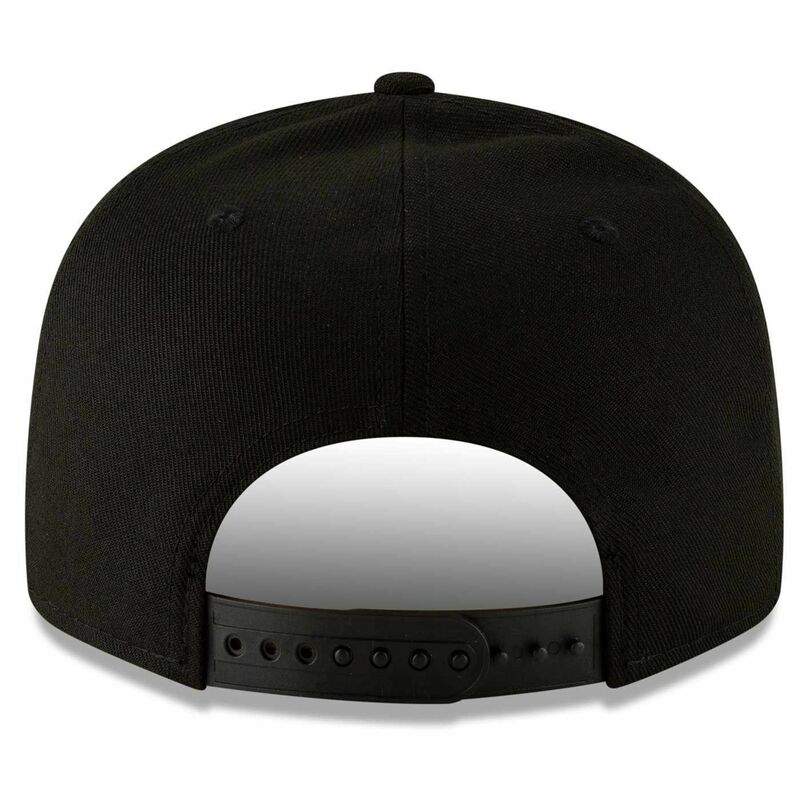 Visor: 100% polyester.